Freshly arrived in Dubrovnik, still jet lagged and after a crazy wedding (14h sleep in 3 days, merci Pauline&Eric!) 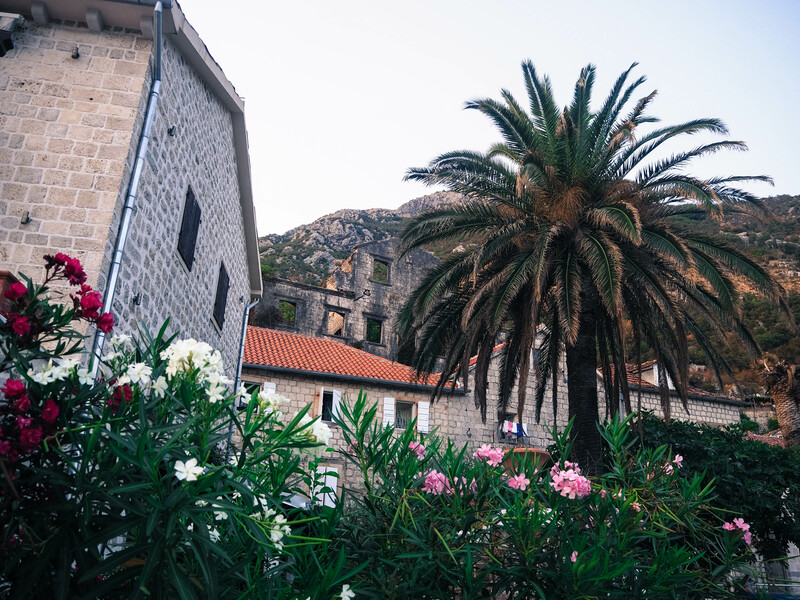 , my mum and I took our rental car and headed straight to Herceg Novi. 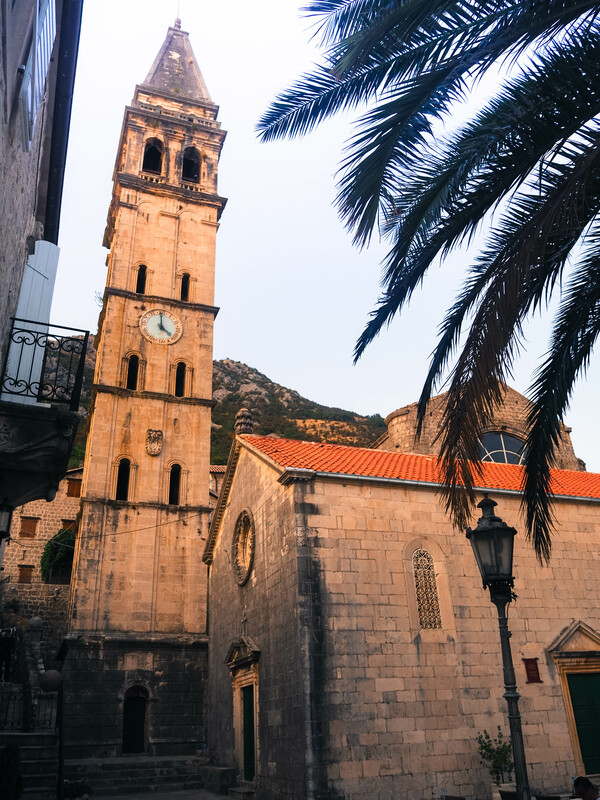 The Old town of Herceg Novi is at the entrance of the Bay of Kotor and welcome tourists with beautiful ruins of fortifications, view on the sparkling sea and churches. Novi means new as this town is one of the most recent in the area as is just a young 700 years old (still complexing about your age Cedric ? ;) ). 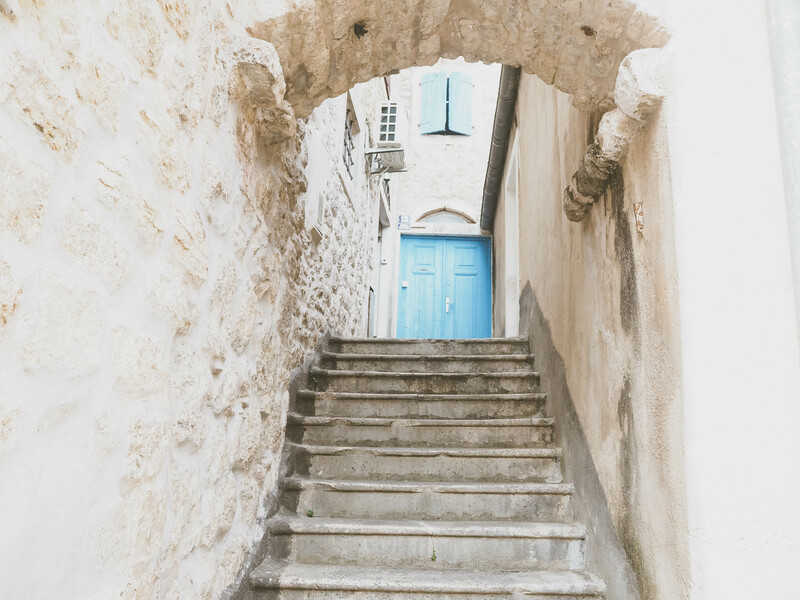 Wandering the streets (and going up and down hundreds of stairs !) we could feel the different influence of the Spanish, Turkish, Venetian , French and Russians who at some point fought to take over the city. 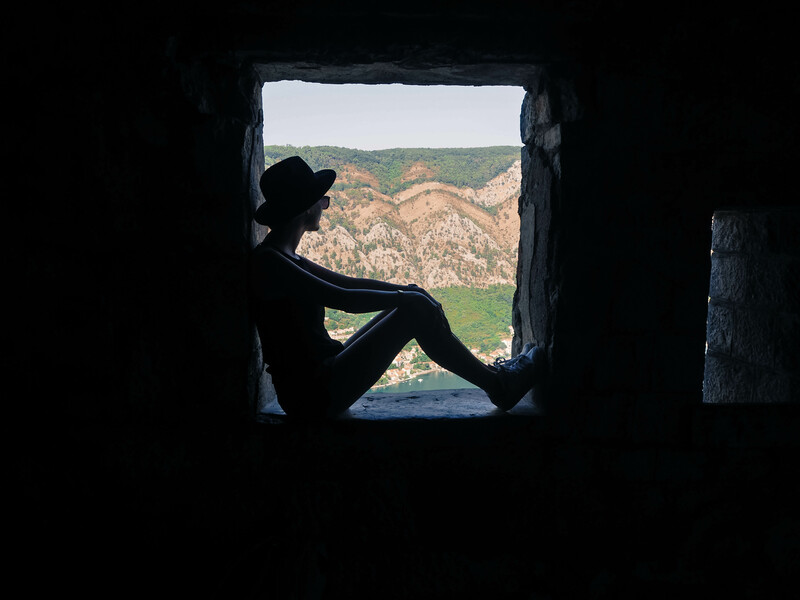 The beautiful Kali-Kula are ruins of fortifications and offer views on the sea and mountains surrounding the town. Besides there is an open-air festival during summer, I would love to play violin among the ruins one day. 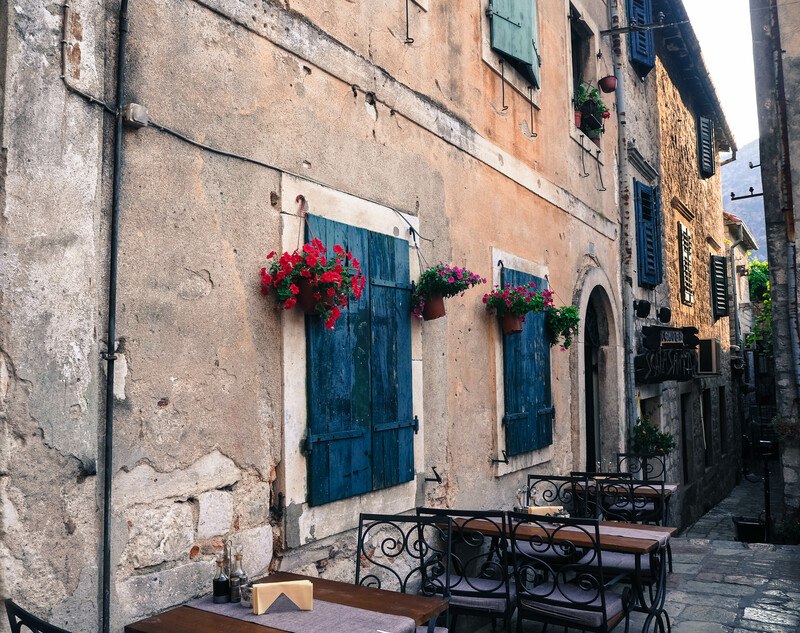 Next stop the beautiful Perast where we booked our B&B. 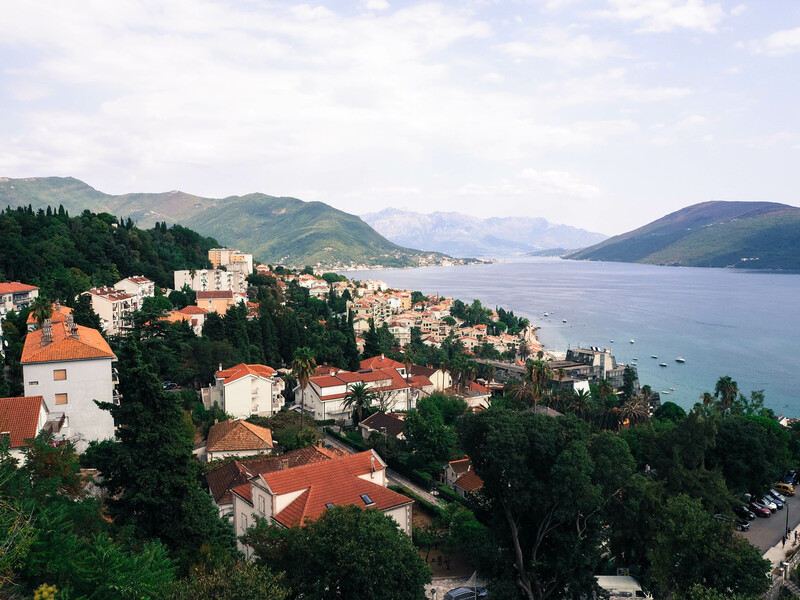 The town is surrounded by dramatic green mountains plunging into the quiet bay. Reminded me of the Norwegian fjords ! 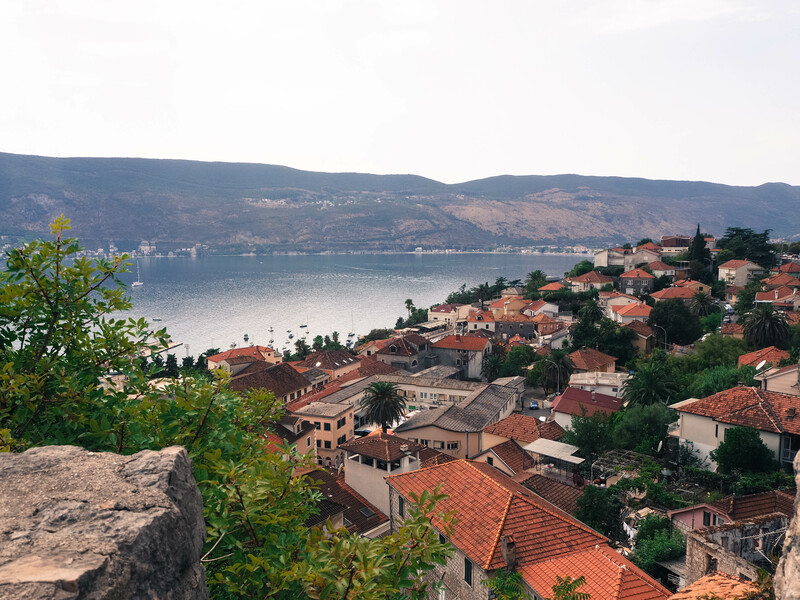 You can see many palaces, squares, churches, stone building hidden at the back of little backyards and a nice waterfront which made me feel in a fishing village. From the waterfront we can catch a glimpse of 2 islands easily reachable by boat. On one of them is the famous Lady on the Rock. 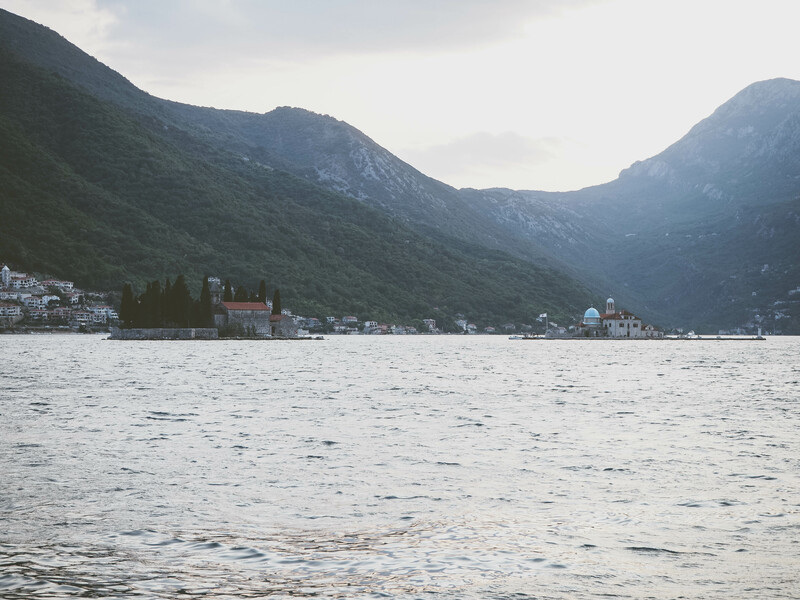 The legend says that some fishermen saw an icon of The Virgin Mary there. Over the years, people visited that place and dropped stones into the water where the icon had appeared. The ritual grew and all those stones created an island! 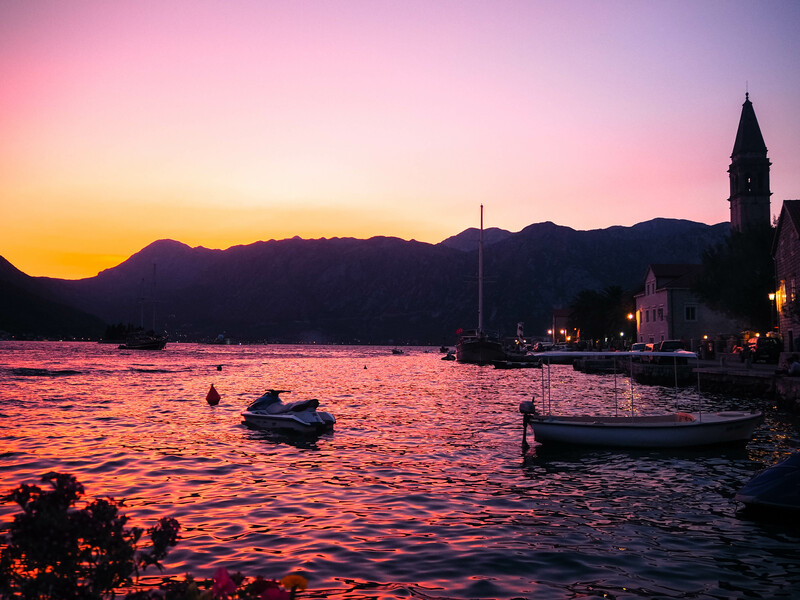 A beautiful little town , where you can enjoy good dry meat, cheese , fresh fish on the waterfront and sip your wine during the sunset. A nice mix between traditional and Mediterranean atmosphere . A must-do in the area ! 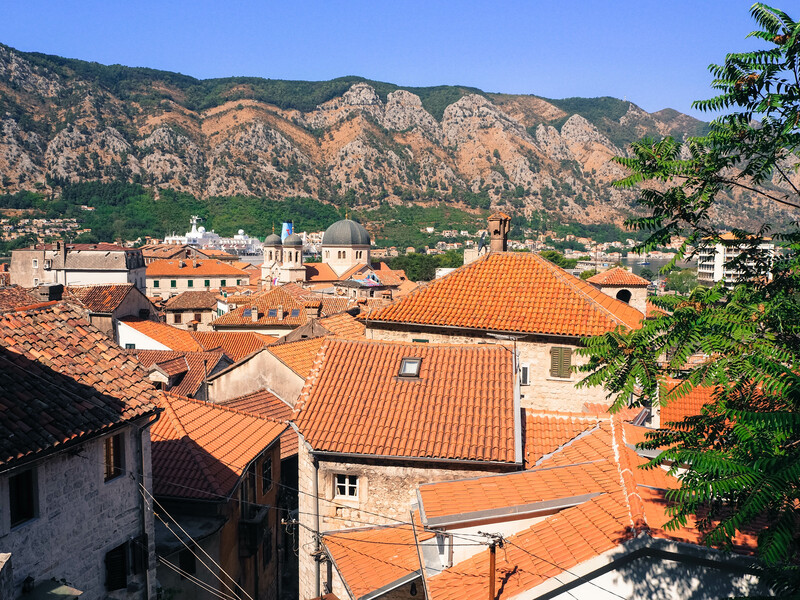 In the morning we woke up early to head to Kotor. Part of the Unesco World Heritage site and definitely worth the title. The town is surrounded by rainbow mountains (a bit like Salta in Argentina), fortifications, emerald colour sea with palms on the waterfront, old streets filled with music and Venetian stoned buildings. Looks like Italy but you can hear here and there some Montenegrin which remind you are in the Balkans. 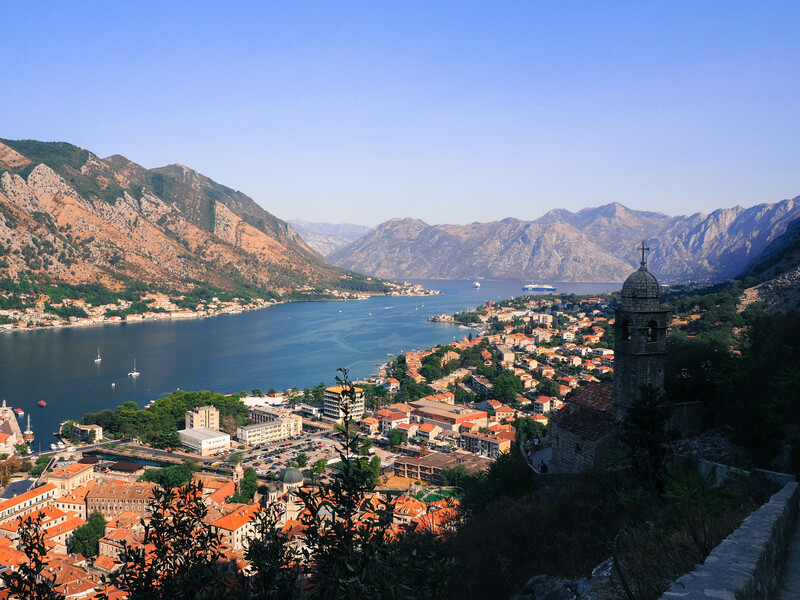 At 8am we were ready to climb the Kotor fortifications built on and off between the 9th to the 19th centuries by the Byzantines and the Venetians to protect the medieval town of Kotor. 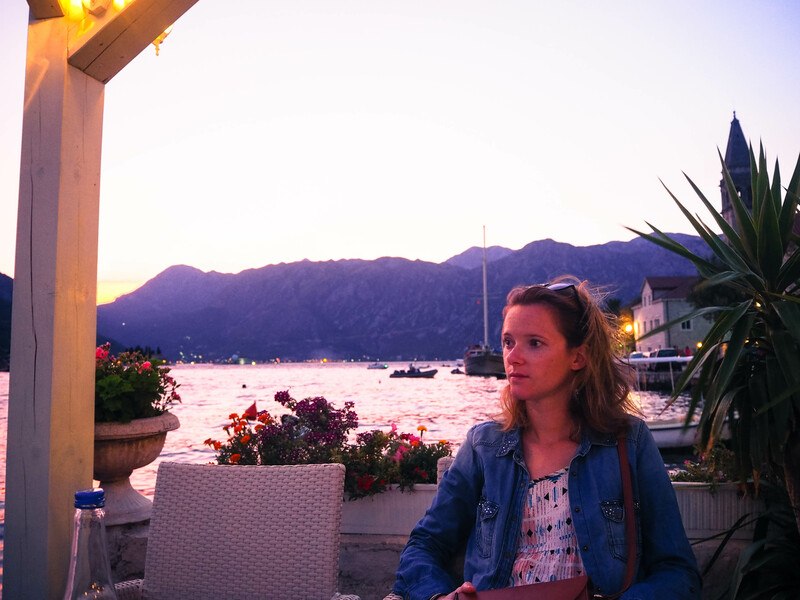 The view on the bay of Kotor is spectacular and the atmosphere makes you remember how rich is the European History (as per the girl who has been living in Sydney for 6 years!). At night we got lost in the old streets after all the touristic buses left the town and had a nice fresh fish on the place. A beautiful night. 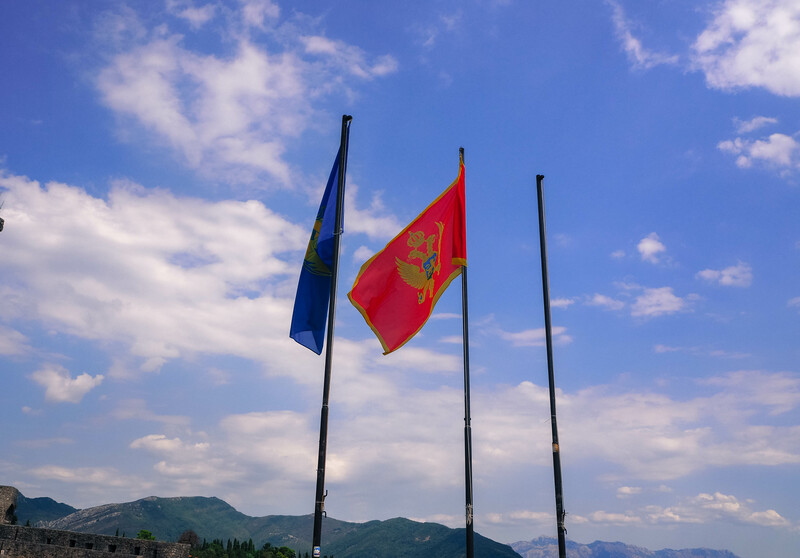 These first 2 days of the trip didn’t disappoint, Montenegro is full of contrast due to its history and picturesque landscape. The crazy drivers didn’t scare me and I was ready to discover more. 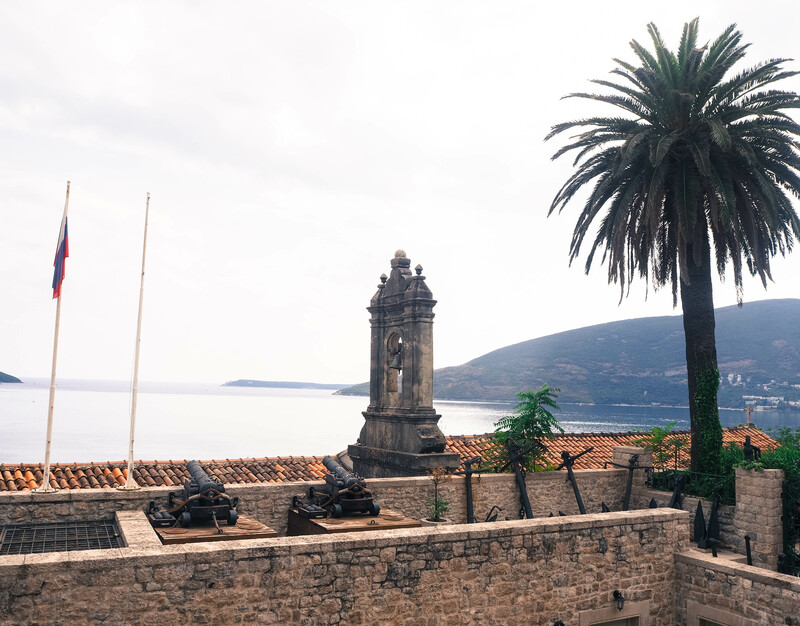 # Make sure to stop in Herceg Novi and enjoy a couple of hours. 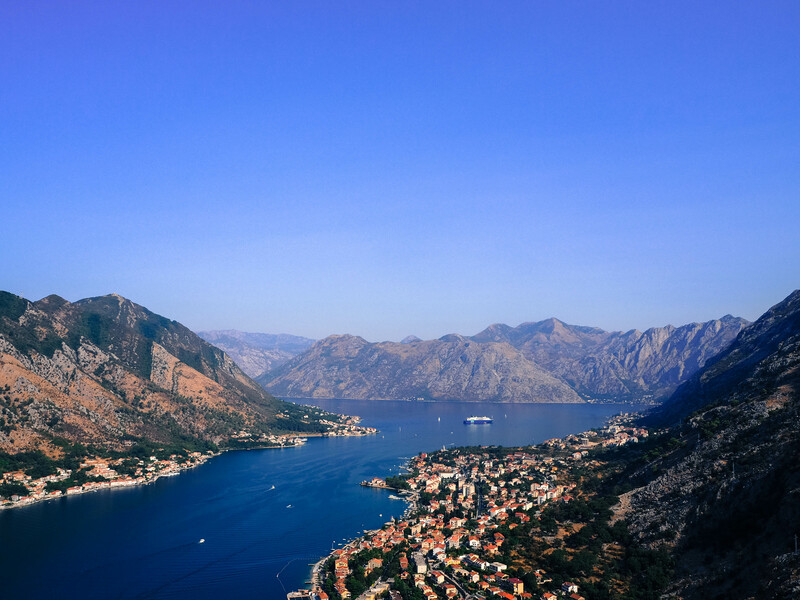 A good introduction to the Kotor Bay. 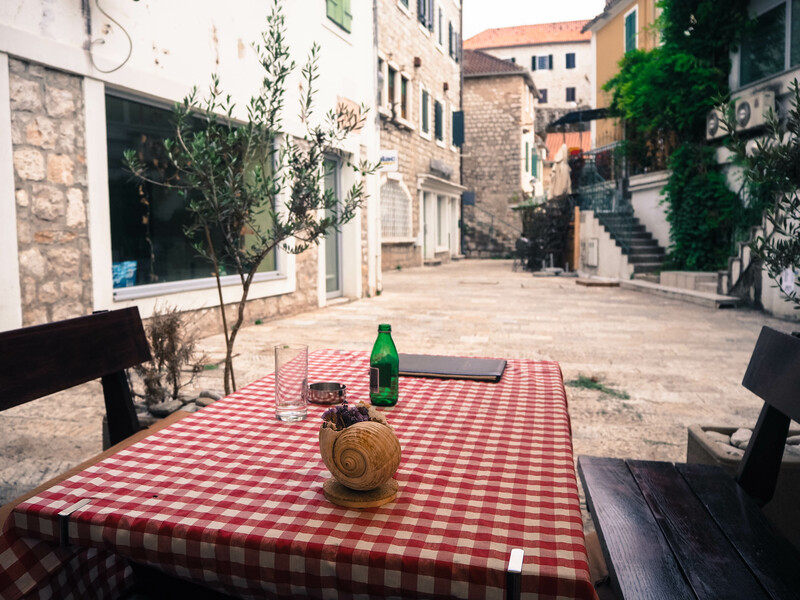 #Make sure you park at the entrance of the Old town (2euros a day) and come before or after the tourist buses or your experience of the city may be ruined. # 5 euros to take the boat to reach the islands. 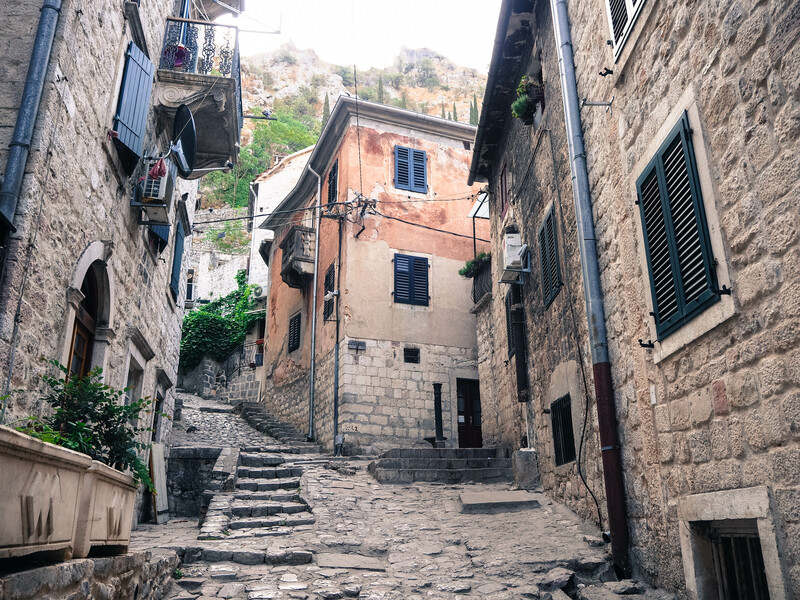 # Kotor: 3 euros for the fortifications. A MUST-DO. Go as early as you can to avoid tourists, sun and the cruise boat invading the bay and ruining the views. # Indulge yourself in local food : pepper stuffed , dry meat, cheese , fish , that was so tasty!